Have you ever used something over and over again and not asked yourself what some parts of it do and never bother to find out? Well, I do that all the time. Last week, I learnt something new that made me feel very stupid. Thankfully, my stupidity gave birth to a new section of this blog. So here we are. Every week (so help me, God), I will write what I have learnt that week. I realize I learn so much and then it goes to waste without me sharing it. I discover things too, but only share them when it occurs to me that someone needs them. Sometimes, it’s just a reminder of something I had either forgotten or not taken too seriously. You know that Dead Sea analogy, if all you do is take in and never give out, you turn into a lifeless thing. I refuse. So, you know those buttons next to the driver’s seat in most cars today, right? The ones that say Mirror with up, down, left and right arrows. I had no idea what they did. Go ahead and laugh. I had no idea until last week. And how did I learn? Because I was busy bullying my co-driver to adjust it because someone had touched it. Fortunately, there was someone with us who knew what to do with cars. He shut us up and stopped us from literally breaking the mirror. There, on the side of the bypass he lurched forward into a full lesson on how to adjust side mirrors from right where I am seated. And lights. Lights can be adjusted? I did not know that. I have also seen people close the side mirrors when they park, but I never thought I could do it too. I am telling you there are things life only teaches you once you actually start doing them. Of course my teacher laughed big time, and retold the story again to everyone in the office, but I had learnt something. If you have not read this piece already, please do. If you have a friend somewhere that you watched slip away for no real reason, check up on them. You never know. I know I am guilty of such. Someone goes quiet and I decide that they are ignoring me, and so I ignore them too. Ego. Check up on someone today. You may be saving a life. Don’t be too quick to judge. This reminds of the post Joy wrote here. Even the simplest message of concern may bring a smile to someone’s face. Sounds cheesy? Well, so be it. I have always heard of Brackenhurst Hotel, but I have never been. And it’s just a short drive away from Kikuyu. We spent an afternoon there recently (we being me and my peoples) although the original plan was to go to Thayu Restaurant. This one was closed for renovations, or so they said. 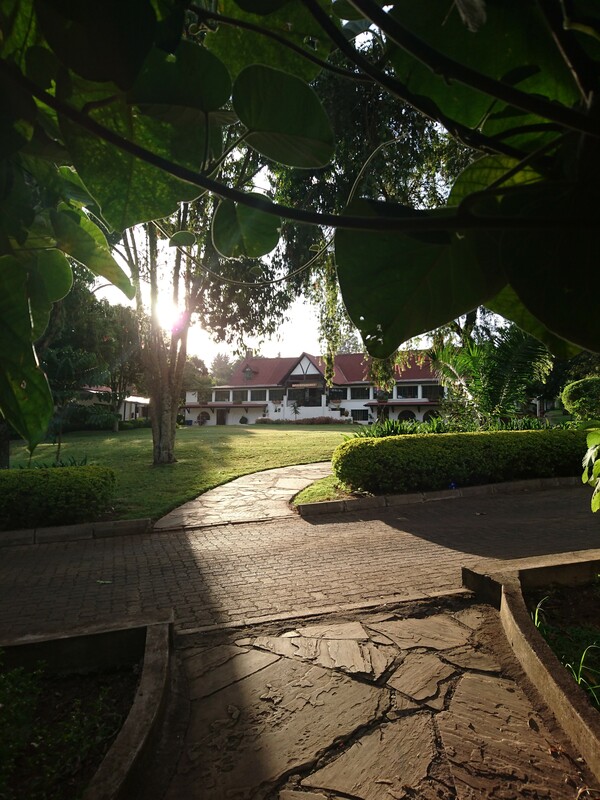 These hotels are tucked away in the serene Tigoni area which British settlers had called home back in the day. Beautiful places. Rich history. Green all around. Tea plantations. Lush lawns. Great food. And not even as expensive as you might assume. When we were getting into Brackenhurst bro asked the guard if the place was suitable for “watu hawajaiba Eurobond”. Lol. We have the worst attitudes sometimes. We are afraid of not fitting into certain places, but you may be amazed at the many places you’re missing out on simply because you were afraid of nonexistent things. Go out. I learnt that there is an area called Kentmere. Never heard of it in my entire life. It looks like my dream area code though. You know, the tea all around. I always dream of having a home in the middle of tea plantations. The road to this place is terrible though. Just saying. Before the Queen of Katwe movie, I had no idea such a place existed. I will not spoil it for you. All I will say is that it’s a beautiful movie. Made me want to go to Uganda. Vision 20… Let me not say when exactly. We’ll see. Turns out there is a radio stations that plays Kigooco all day, everyday. I am not even kidding. Dad found it. Then he told me, because he knows I love the music, then I basically told everyone else who cares to listen. Turn your dial and listen. The only problem is it becomes repetitive at a point and you realize they have played the same song thrice, in the one hour you have been listening. So we have a theory, fam and I. It’s yet ANOTHER Kikuyu station prepping to hit our airwaves with all the Petanns, NIBS and Gakuyo Real Estate ads you can think of. Let’s wait and see. I have become used to getting lost on the road. Most times, Google Maps will take you to the right place. But the other times, it will take you through the longer route, in my experience. But that longer route may be the better road with better things to see. Sometimes, that lady (or whatever she is) will not know how to pronounce our African names for places. One particularly cracked us up. Instead of saying Ndenderu Road, you know, that road that connects to Limuru Road, she says N-D-E-N-D-E-R-U Road. Like she spells out the letters one by one rapidly. At some point you will get confused and wonder if you heard right and then you will realize you did hear her clearly and she cannot pronounce the name. I laughed out loud the first time it happened, and the second and the third. Never gets old. I will stop there today. Till next time. How now? I have judged you. Lol. Leave me alone. Funny enough, been on that road as a child, but couldn’t remember. Also, I knew you would come Deezering here. That was for you. Haha! Exactly. Who knows everything? Acceptance is therapeutic. We’re Africans. Nice read. I like the idea of sharing what you have learnt with others. Since i lost my wrotig touch some years back, i think i can take this up but share verbally. Way to go, Rhoda! Thanks!